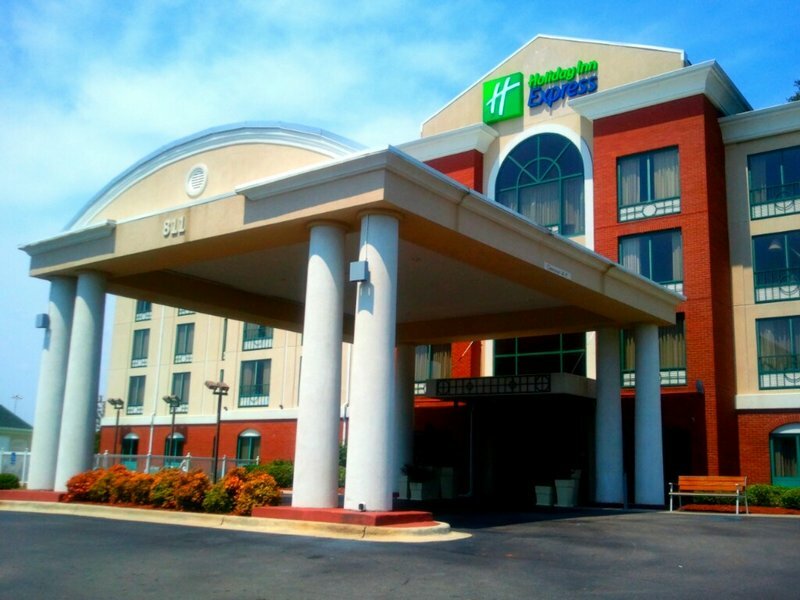 Check Rates & Availability at Holiday Inn Express & Suites BIRMINGHAM-IRONDALE (EAST)! Welcome to Holiday Inn Express & Suites Birmingham East Irondale As a proud IHG Property, we offer an unbeatable stay in Irondale, Alabama. We are situated on top of a hill surrounded by woods. Guests can enjoy the small, quiet, home town feeling of Irondale by staying at the 100% Smoke Free Holiday Inn Express & Suites. Enjoy the convenience of being within one mile of EWTN campus and less than five miles from corporate offices of Motion Industries, IMBL, Simple Fashions, and New Mercedes Benz Showroom. Popular attractions like Barbers Motorsports, Talladega Racetrack, Civil Rights Museum, , Sloss Furnace, Birmingham Jefferson County Convention Center, Honda Of Alabama are nearby. We are conveniently located on I20 at exit 133 and convenient to I 459 & I 59. Our hotel is only 5 miles away from Downtown Birmingham, UAB, Birmingham Airport, BJCC, Legion Field, and Birmingham Crossplex. Our well-appointed guest rooms feature our new Stay Smart bedding with triple sheeting as well as a microwave, mini-fridge and single cup Keurig Coffee maker in every room. Every stay includes a Complementary Express Start Hot Breakfast, free High Speed Internet, Fitness Center, Outdoor Pool, and 24/7 snack market.